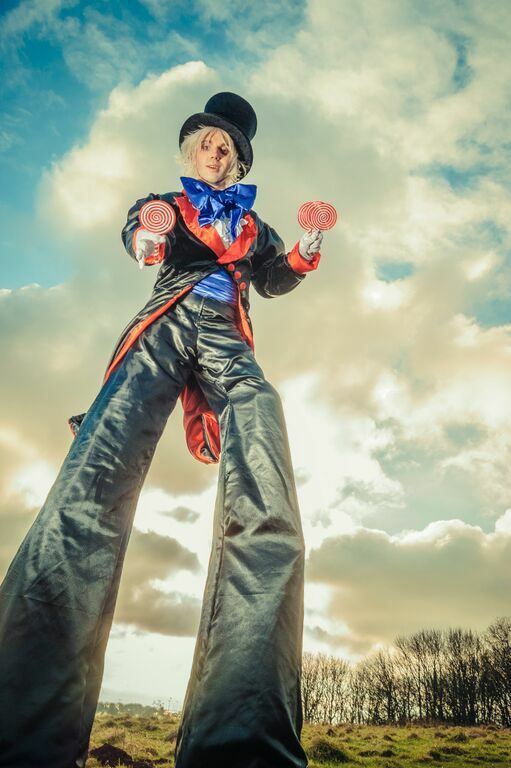 Make your Alice in Wonderland themed party a special occasion and one to remember with these wonderful Alice themed characters, both on and off stilts. 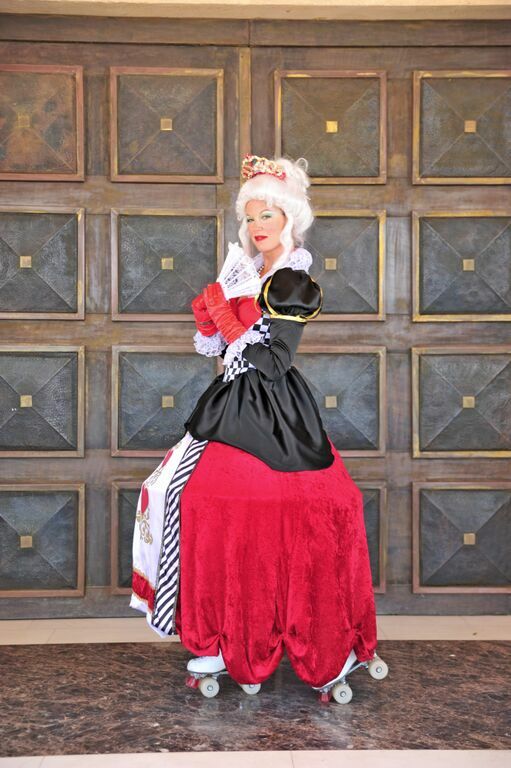 This expertly costumed group featuring the classic storybook characters will bring all the fun and spice that a Alice in Wonderland party should have. Enduring favourites at all kinds of events include the maddest of Hatters and the evilest of Queens. 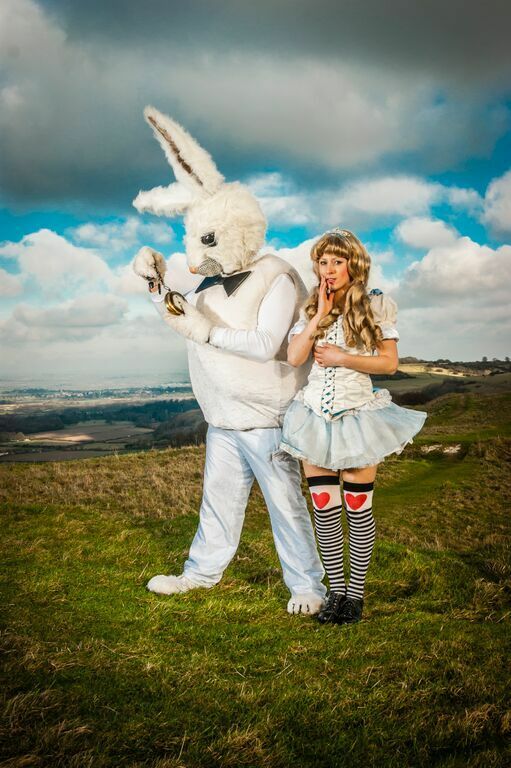 We have a frantically late White Rabbit and a curiously adventurous Alice. Don’t let any of them near the cake though. 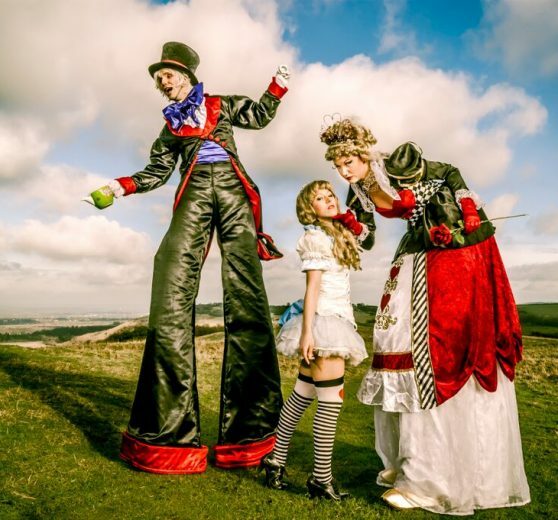 Why not have your guests greeted personally by Alice on Stilts or skates or even our very own cheeky Cheshire Cat hanging in her aerial hoop! 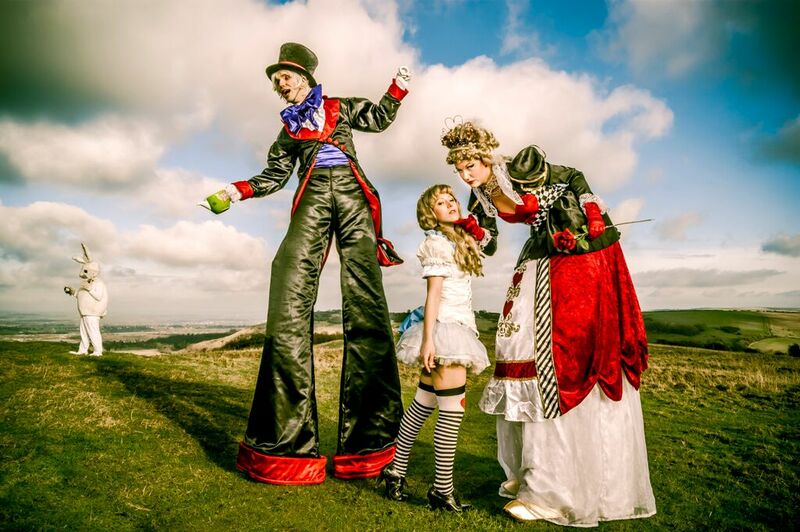 Our friendly and mesmerising entertainers will bring everything you need to your Alice in Wonderland party. We can also provide a band and DJ to complete the story in style!